When should you contact a tree removal service to take away your tree? Look for these signs. By this point in the spring, your trees should be completely green and bestowing their peaceful look on your property. Trees do a lot of good for your property and they should be taken care of to maintain their benefits throughout the years. But what do you do if one or more of your trees look less healthy than the others? Does it need some pruning, a little treatment, or do you need to call a tree removal service to take it away? 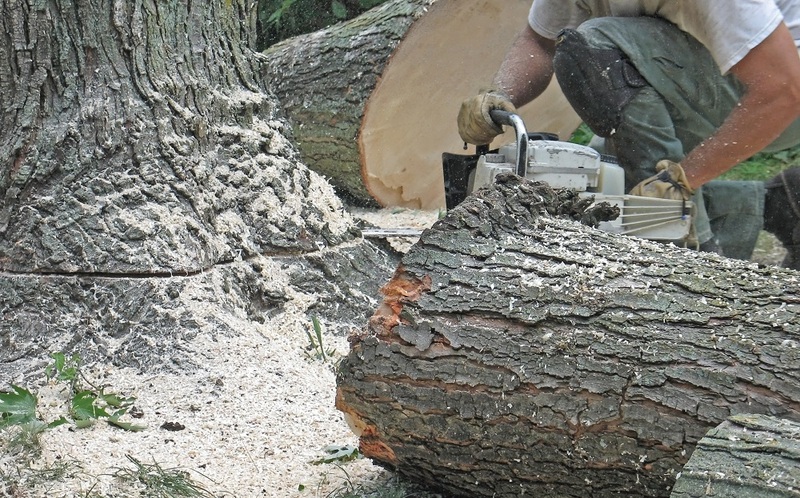 Here are three signs that will tell you that you need to hire a tree removal service. The growth pattern of a tree may actually endanger your home or another part of your property. If the tree branches are touching the siding, for example, it could promote the growth of mold on the siding. A tree growing into power lines is a more obvious example of a dangerous situation that should be addressed as soon as possible by a tree removal service. If the branches on your tree are dead or hanging on for dear life, this could become a dangerous situation especially when summer thunderstorms start rolling in. No one wants to be stuck with the bill for a roof repair because a tree branch fell on it. Pruning may be able to remedy the problem over the long haul, but removing the tree completely is a more immediate and permanent fix. In some instances, the disease can be managed with precise pruning and rehabilitation, but if it has progressed enough, removing it may be the only option. This entry was posted on Friday, May 19th, 2017 at 12:14 pm. Both comments and pings are currently closed.